The Micro Four Thirds system is famously based around a relatively small image sensor, compared to full-frame cameras, with a 2.0x crop factor. This enables mirrorless cameras from Olympus and Panasonic to be refreshingly compact and lightweight – and the same bonus applies to Micro Four Thirds lenses. That's for two reasons. First, the image circle produced by the lens only needs to be a fraction of the size of a full-frame lens, so the optical elements can be made with a relatively small diameter. Second, the actual focal length for any given type of lens is halved. For example, a 35-150mm telephoto zoom would give you the same ‘effective’ range as using a 70-300mm lens on a full-frame outfit. Again, the physical construction of the MFT format lens will be smaller and lighter. While they tend to be relatively small, the best Micro Four Thirds lenses are certainly no lightweights in terms of build quality and performance. They’re usually beautifully engineered and deliver excellent image quality. Typically, they have stepping motor autofocus systems, which give rapid and highly accurate performance for stills, as well as delivering virtually silent, smooth focus transitions when shooting movies. Olympus and Panasonic are the two main manufacturers of MFT format lenses. Many of Panasonic’s lenses feature optical image stabilisation, whereas most Olympus lenses rely on in-camera, sensor-shift stabilisation. Let’s take a look at the best Micro Four Thirds lenses in all of the main shooting categories, along with some top-value alternatives that give impressive performance on a tighter budget. The Panasonic Lumix G X Vario 12-35mm f2.8 II Asph Power OIS is a standard zoom Micro Four Thirds lens that gives the same kind of performance and versatility as a pro-grade 24-70mm f/2.8 lens on a full-frame camera body – but, typically for an MFT lens, it comes in a much more compact, lightweight package. Indeed, at 305g, it’s only about a third of the weight of a comparable full-frame optic. Even so, the lens is no lightweight in terms of build quality, with a robust and weather-sealed construction. Centre-sharpness is excellent throughout the zoom range, even when shooting wide-open at f/2.8, and corner-sharpness also becomes impressive at f/4 and narrower apertures. It’s the best Micro Four Thirds lens for everyday shooting, with the bonus of effective optical stabilization. Incredibly tiny with a ‘pancake’ design, this Micro Four Thirds lens also features a motorized zoom. But it isn’t the sharpest tool in the box. The 12-60mm is a great buy at the price, especially if you want extra telephoto reach, courtesy of this lens’s 24-120mm ‘effective’ zoom range. While the crop factor of MFT format cameras boosts the telephoto abilities of lenses, it makes the design of ultra-wide optics more of a challenge. The Olympus M.ZUIKO DIGITAL ED 7‑14mm 1:2.8 PRO is a remarkable wide zoom lens with a minimum focal length of just 7mm, delivering an astonishing 114-degree viewing angle, similar to using a 14mm lens on full-frame cameras. Like other lenses in the M.ZUIKO PRO line-up, it’s immaculately turned out, with fabulous build quality. Contrast and sharpness are outstanding, while colour fringing and distortions are negligible. As with many ultra-wide lenses, however, the hood is built-in so there’s no filter attachment thread. It’s not so wide in maximum viewing angle or aperture rating, but is smaller and lighter, and has a filter attachment thread. The perfect supplement to Panasonic’s 12-35mm f/2.8 lens (at number one), the Panasonic Lumix G X Vario 35-100mm f2.8 II Power OIS is equivalent to that other stalwart full-frame zoom for pro photographers: the 70-200mm f/2.8 telephoto. Again, the popular ‘effective’ zoom range of this lens is delivered from a high-grade, weather-sealed construction that’s rugged and robust, yet only about a third of the weight of equivalent full-frame optics. As with the Panasonic 12-35mm f/2.8, you need to stop down to f/4 before corner-sharpness really gets into its stride, but overall levels of sharpness and other image quality attributes are outstanding. This compact budget lens really punches above its weight with fast autofocus performance and excellent image quality. Incredibly compact but with strong performance, it lacks the Olympus 40-150mm lens’s greater telephoto reach, but adds effective optical stabilization. A zoom range of 100-400mm gives powerful telephoto reach on a full-frame camera but, in MFT terms, you get a whopping ‘effective’ maximum focal length of 800mm. 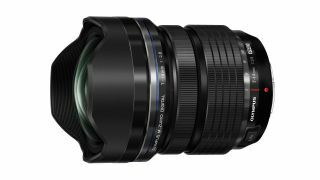 As we’ve come to expect from Panasonic’s up-market lenses, the Panasonic DG Vario-Elmar 100-400mm f4-6.3 Asph Power OIS is sturdy, robust and meticulously engineered. Highlights include a locking mechanism for the zoom ring and an autofocus range limiter switch. The effective optical image stabilizer is very worthwhile, given the enormous effective focal lengths on tap. Even though the lens weighs nearly a kilogram, it’s still sufficiently lightweight for prolonged periods of handheld shooting. For added comfort and stability, the lens comes complete with a mounting foot for well-balanced use on a tripod or monopod. Image quality is superb, with excellent sharpness right up to the maximum 400mm zoom setting. The f/6.3 aperture rating at the long end of the zoom range is relatively ‘slow’ but quite typical for this class of super-telephoto lens. Unsurprisingly, this lens looks and feels a bit like a conventional 70-300mm zoom for bigger cameras, but the MFT format gives it a powerful 600mm effective reach. Sharpness is very good on the whole but drops off a bit at the long end. Superzoom lenses are often favoured for travel photography, as you get everything from pretty generous wide-angle coverage to long telephoto reach, without the need to carry multiple lenses. Superzooms are also useful when you need to react quickly to different shooting scenarios, or you don’t want to swap lenses on your camera in dusty conditions. The Panasonic Lumix G Vario 14-140mm f3.5-5.6 ASPH Power OIS has a powerful 10x zoom range and an effective 28-280mm focal length. Unlike similar lenses for full-frame cameras, it’s wonderfully compact and lightweight, yet retains optical image stabilization that’s commonly found in superzooms. Better still, while most superzooms compromise image quality in favour of a big zoom factor, the Panasonic delivers very good sharpness and contrast throughout its entire zoom range, even when shooting wide-open. The Olympus superzoom has a very similar size and weight to the Panasonic, but stretches a little further at the long end of its zoom range – to 150mm instead of 140mm. In practice, the difference isn’t very noticeable and, while the Olympus isn’t quite as expensive to buy, it lacks image stabilization. Measuring a mere 58x42mm and tipping the scales at just 137g, this diminutive lens feels right at home on even the most compact MFT format body. Like the Olympus 17mm that we favour for street photography, this one is available in either a silver or black finish, and the hood is sold separately. Naturally, the 2x crop factor of MFT cameras gives this lens an effective 50mm focal length, delivering a classic ‘standard’ viewing angle with a fairly fast f/1.8 aperture rating. Image quality is impressive in all respects. Considering the prices of Canon and Nikon 50mm f/1.8 lenses for full-frame cameras, the Olympus doesn’t look terrific value. However, its performance fully justifies the price tag. Super-small and lightweight, it’s an ideal standard lens to stash away in your gadget bag, although the aperture rating is relatively ‘slow’ at f/2.8. The Leica Nocticron legend is reborn for the MFT format in this metal-bodied beauty of a lens. It has a well-damped, smooth-action focus ring and useful aperture ring, both of which boost the overall handling characteristics. The 2x crop factor gives the lens an effective focal length of 85mm which is perfect for portrait photography. The flip side is that, because depth of field is linked more closely to ‘actual’ rather than ‘effective’ focal length, the MFT system struggles to give a really tight depth of field, compared with full-frame and even APS-C systems. This lens fights back with a super-fast f/1.2 aperture rating, which helps to reduce the depth of field and give soft, creamy background blur in portraiture, as well as enabling fast shutter speeds even under dull lighting. And for when you want to use narrower apertures, there’s also optical stabilization, which is almost unheard of in f/1.2 lenses. Image quality is absolutely sumptuous. For portraiture on MFT cameras, this is the best lens that money can buy. It’s seriously expensive but, then again, Canon’s 85mm f/1.2 full-frame ‘portrait’ lens is getting on for twice the price. The Olympus 45mm is a very smart buy for portraiture and, while it can’t shrink the depth of field as much as Panasonic’s f/1.2 lens, it’s much more affordable at just one-sixth of the price. A focal length of around 100mm is often preferred for extreme close-up ‘macro’ photography. Due to this lens’s shorter focal length, the minimum focus distance drops from about 30cm to 20cm. However, those distances are measured from the focal plane, which corresponds to the position of the image sensor at the rear of the camera. With the more compact build of MFT cameras and lenses, the actual working distance between the front of the lens and the subject remains entirely usable, at about 10cm. Another bonus is that the 2x crop factor of the MFT format effectively boosts the maximum magnification factor from 1:1 to 2:1, or double life-size. The excellent quality of the weather-sealed construction is a credit to Olympus’s line-up of ‘Premium’ lenses, and the smart focus distance/magnification indicator is a bonus. Image quality is great overall, and the electronically coupled ‘fly-by-wire’ focus ring operates with smooth precision. It’s great for macro focusing, where you’ll often want to focus manually. All things considered, this is unquestionably the best macro lens on the market for the MFT system. The minimum focus distance of 10.5cm is a bit close for comfort in most macro shooting. With its addition of optical stabilization, this lens is better suited to general shooting with occasional close-up work on the side.